It's impressive to reflect on how far-reaching and influential indie games have become in recent years. Small teams and one man acts are emerging from the woodwork to deliver experiences that rival those manufactured by the old guard. Despite how brightly that star shines, though, its spotlight rarely has extended to Japan's doujin scene. There's a thriving indie community on the other side of the Pacific, but you wouldn't know it given how little attention it receives in the West. Nyu Media is looking to change that by publishing high quality doujin software for the rest of the world to enjoy. Croixleur, their latest project, is an entertaining arcade romp. But if Nyu is looking to reverse the tide of perception, this serviceable hack-and-slash adventure probably isn't going to be the game to do it. Set in a land where two factions vie for control, Croixleur follows the journey of two young ladies competing in an ancient rite to determine the balance of power. The premise is largely inconsequential, though, as what little story there is focuses more on baths the two warriors once took together as children, rather than any political melodrama. Drawing inspiration from Devil May Cry's Bloody Palace mode, the game's story mode takes place in a tower filled with monsters. 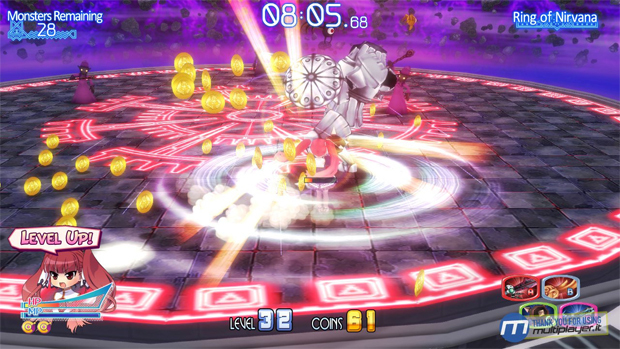 Players are placed in a series of arenas and must defeat a set number of enemies in order to progress to the next floor. It's pretty simple and there aren't a whole lot of frills to the package, but what Croixleur does (combat), it does very well. Slashing, dashing, move canceling, the mechanics of everything seem incredibly refined and well tuned. Standard attacks are complemented by a sizable arsenal of unlockable weapons, each with their own properties and special moves. Nuanced systems help flesh out an otherwise unadorned game, as players will need to learn how everything works together to see it through to the end. Croixleur is deceptively challenging. In the early going most enemies are harmless and will likely lead the player into a false sense of security. As the game goes on, they get stronger and far more aggressive. 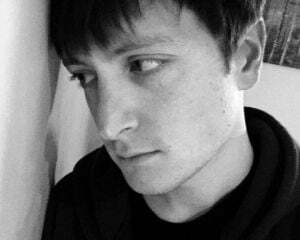 Infrequent health drops and permanent death make for a very frenetic experience in the latter levels when your life is hanging by a thread and you're up against one or more larger boss-type monster that drop the health you so badly desire. Avoiding damage is paramount. I can't stress that enough. However, the clock poses just as much of a threat as the enemies do. 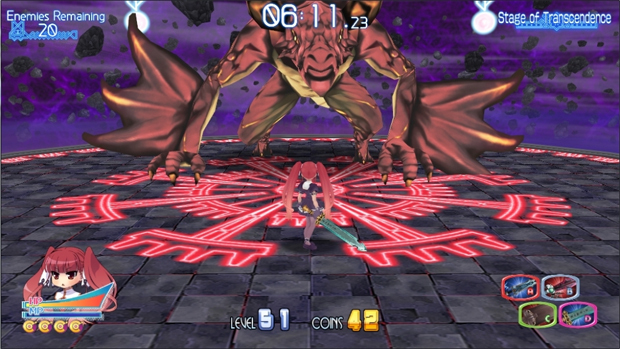 Croixleur is fifteen minutes long. And by that I mean if you can't beat it in under fifteen minutes (or ten to see the alternate ending), it's game over. I learned that the hard way after initially beating the end boss, but failing to mop up his minions in time. Unforgiving as it may be, the brutality of it all is what makes the game so exciting to play. You need to be quick, but you also can't be sloppy. It's the perfect ecosystem, really. Everything works in conjunction with everything else, something that's highlighted by the coins enemies drop when felled. Collecting one hundred coins yields crucial heavy attacks which are limited in supply but ever so helpful in getting the player out of tight spots. While you're worrying about the enemies and the ticking clock, you'll also want to be mindful of the coins since the rewards are imperative to your survival. Overall, it's pretty good. However, a distinct lack of enemy variety (unless different colors count), a finicky camera, and fifteen minute campaign are sure to turn off more than a few folks. That said, like a shoot-'em-up or fighting game, you'll likely spend quite some time with it before you develop the skills necessary to complete it. When you're done with the story there's an endless and score attack mode help to flesh out the package, but they never quite capture the chaotic magic of the campaign's final levels. Croixleur's largest sin might be its clear lack of ambition. This arcade hack and slash adventure is very competent at what it does but takes very few risks while doing it. The result is an experience that is easy to enjoy but difficult to love.